Technical Dive Training it just that -Technical. Many Recreational divers don't even consider it, just because of the title. 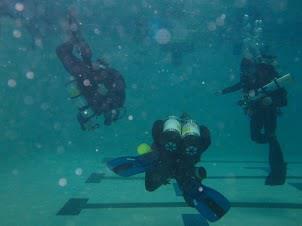 Did you know all of the basic training for technical diving happens in depths that are in or near recreational limits? Technical Diving is about the gear, its configuration and the additional diving opportunities this training will offer. Technical Diving is for the diver who wants to dive more than once or twice a year. For the diver who whats to know more about the gear how and why it works. For those divers who want to understand how the gasses they are breathing effect the body. All of this can be used within recreational scuba diving limit, but it can also be used to go beyond these limits. To explore the greater depths, sites that only those who choose to expand their knowledge, skills to follow their passion for diving.